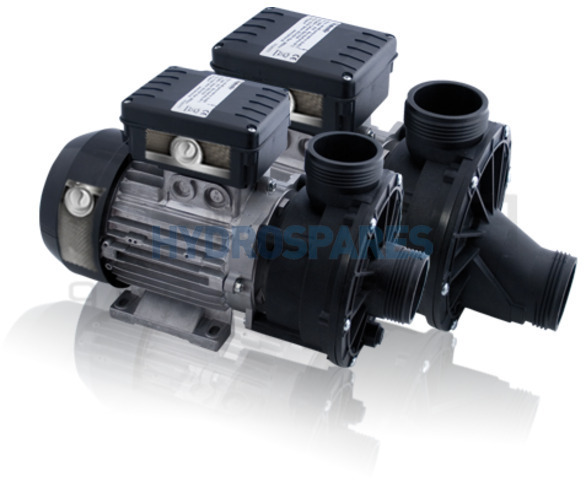 HydroAir HA460 - Whirlpool Bath Pump 22-4667 1.3kW - Centre Suction. The HydroAir HA460 whirlpool bath pumps are the most powerful in bath pump range. The HA460 range is perfect for larger whirlpool bath installations or smaller hot tubs or spas. Silent running motors coupled with either self drain or centre suction wet ends make for energy efficient compact pumps that deliver enough power for 10+ jets. This versatility makes them a popular choice for bespoke projects. For detailed measurements and specification see documents in the downloads tab. Unions sold seperatly.